Perfect exists. It just doesn’t happen very often. 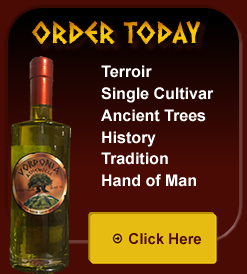 For Vordonia Athenolia Extra Virgin Olive Oil, several crucial elements had to fall together: Athenolia olive tree, soil, climate, history, location, the hand of man, meticulous care, and, with real luck, a family commitment deeply rooted in Ancestral history. 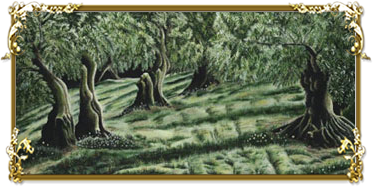 My family has deep roots in Vordonia, but connected to our Spartan ancestors by thousands of years in a perfect hillside that was chosen centuries ago for the Athenolia olive tree. 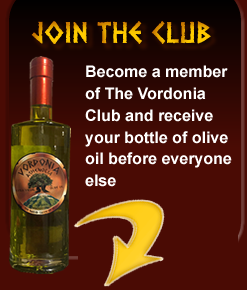 Vordonia Athenolia Extra Virgin Olive Oil brings you, the purest of the pure, flawless. Once you’ve tasted Vordonia Athenolia Extra-Virgin Olive Oil, you will have tasted terroir driven olive oil for the first time in your life.